After months in the planning, the fortunate few to pass the dive medical gathered to depart for Gibraltar on Ex Yeoman Nautilus 5-14 Jun 16. 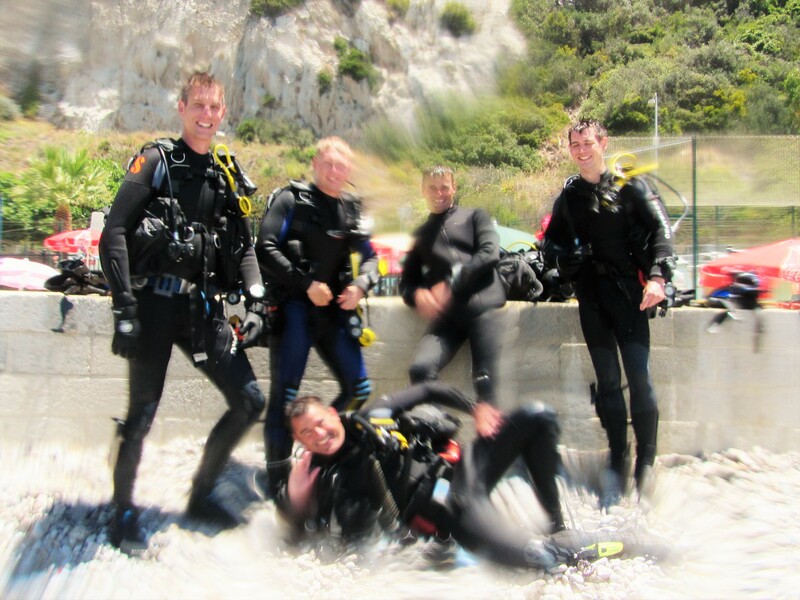 Having recently qualified as an Open water recreational diver, I thought nothing could be easier than getting a few guys away on a military expedition to a dive location outside the cold British waters,……I managed to secure a dive slot for twelve 677 Sqn personnel on a 10 day dive trip to Gibraltar. The day of reckoning came and having kept a weathered eye on the forecast, it was ironic that the sun was shining on the morning as the party of eleven departed for a sun drenched Gibraltar. A quick, uneventful hop over to Luton saw the intrepid explorers safely aboard the two hour flight to meet with the Sub Aqua Dive Supervisor (SADS) in Devils Tower Camp, home of the Royal Gibraltar Regiment. The adventure begins with a daily journey to Gun Wharf and the Joint Physical Development Unit (JPDU), where the expedition based itself with two boats and access to a full store of dive kit owned by Adventure Training Group. With the boats in the water and dive kit issued we headed out to Rosia Bay, a sheltered area, to conduct the obligatory check dive and basic skills….This was definitely well needed as there was an amount of skill fade, or new experiences/lessons, which a number of us had not done before. 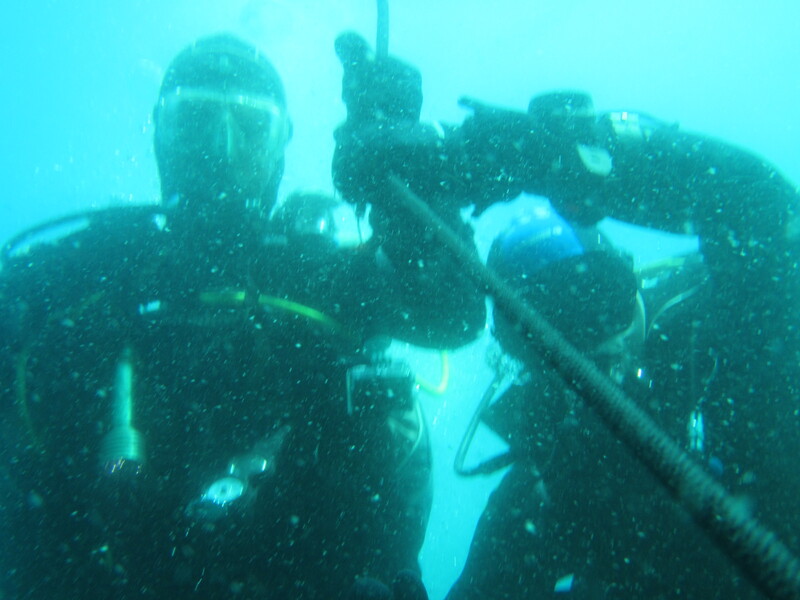 The plan for the subsequent days was to dive twice a day in two waves and undertake some instruction, ranging from lessons for the complete the novice, to signing off some more experienced divers on their next step along the British Sub Aqua Club dive route. There were a number of dive sites that were used during the expedition, the first of which should have been the “the Barges”, where we could dive to 10m amongst 4 wrecks, but unfortunately the swell and current was so severe it was difficult to get on target as it involved a swim to the site due to the prohibited boat access. The weather played a huge part in the decision making process on further sites, the swell, the current and strangely a very rare bank of fog hampered one morning’s diving. The next site was the SS Rosslyn, an old Cardiff steamer sitting in approx 20m, slightly easier access just outside the harbour walls, approx 350 feet long which took a good dive to get all the way around it fighting the currents. The group favourite was “Batty’s Barge” which was another swim into the site but with two sunken vessels sitting at approx 20m in order to assist with the artificial reef programme, it housed an array of wildlife and was easy to navigate around and explore some of the wide open caverns. Another dive site was “Ink Wells”, visited twice during our time due to its ease of access and abundance of things to see. 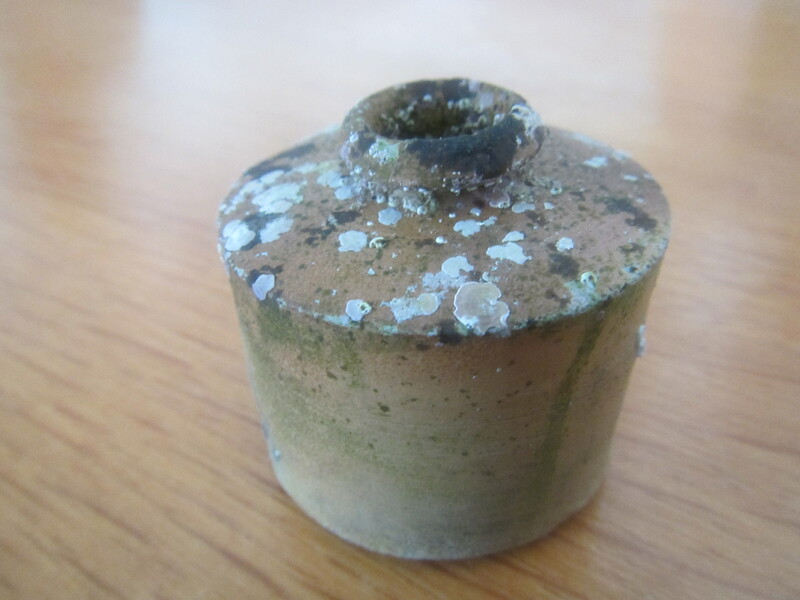 The Inkwells site historically speaking was the anchorage for vessels re-supplying from the Royal Navy Victualing Yard. Whilst re-supplying the Royal Navy would often discard old equipment overboard. Items thrown over board would include plates, glassware, ceramic gin bottles, clay pipes and ceramic inkwells hence the name of this site. 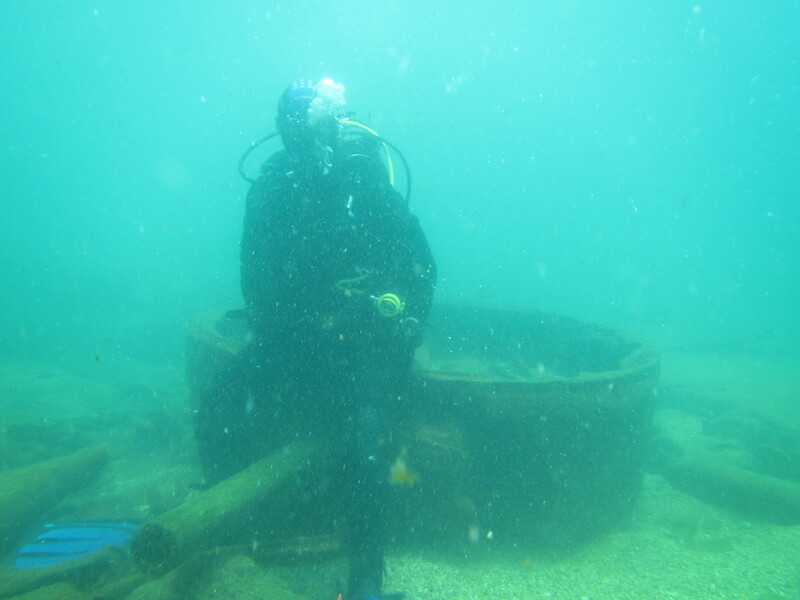 Although our Navy Dive supervisor has been diving here for years he has yet to find one of the 100year old pots…Leave it to the Army and the keen eye of Sgt Jeffs who found one intact. It was not all diving as due to the regulations after 5 days, you have to take an obligatory “day off” gas. The group spent the day site seeing and culture, with visits on the Dolphin Safari, St Michaels Cave and the mandatory visit to the Apes. Batteries re-charged, we woke to glorious weather, no wind and a calm sea which set us up for a great day’s diving, only to be hampered by a puncture in one of the boats; we have now become accustomed to one minor mishap per day. Having lived in Gibraltar in 87’, I could remember seeing the silhouette of a WW2 Sherman Tank from Europa Point, some 50m above sea level, at the end of the rock, so thought it that it would be good to see it from the water. 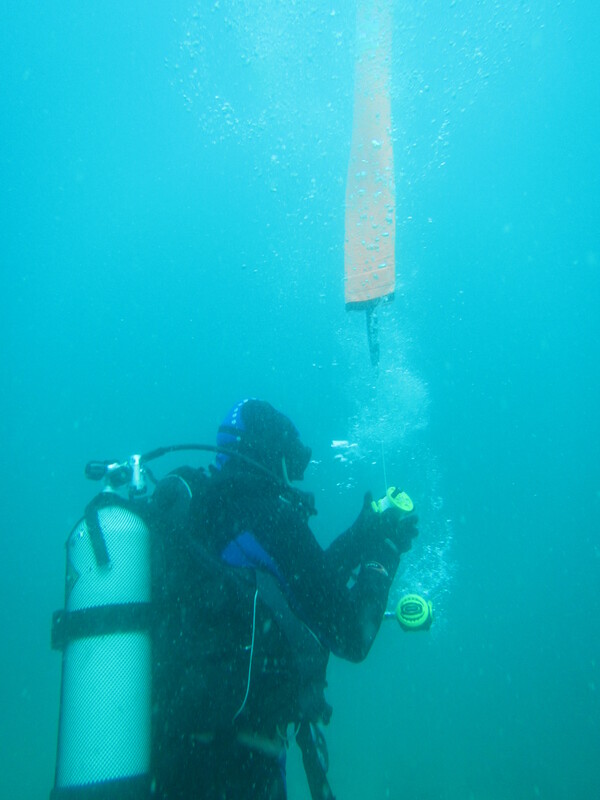 Due to the depth only being approx 10m, this meant we could gain a full 40min dive exploring the sea bed for artefacts. We did manage to see quite a bit as the visibility was at its best and there were remnants of the tanks, including the turret and barrel to pose on. 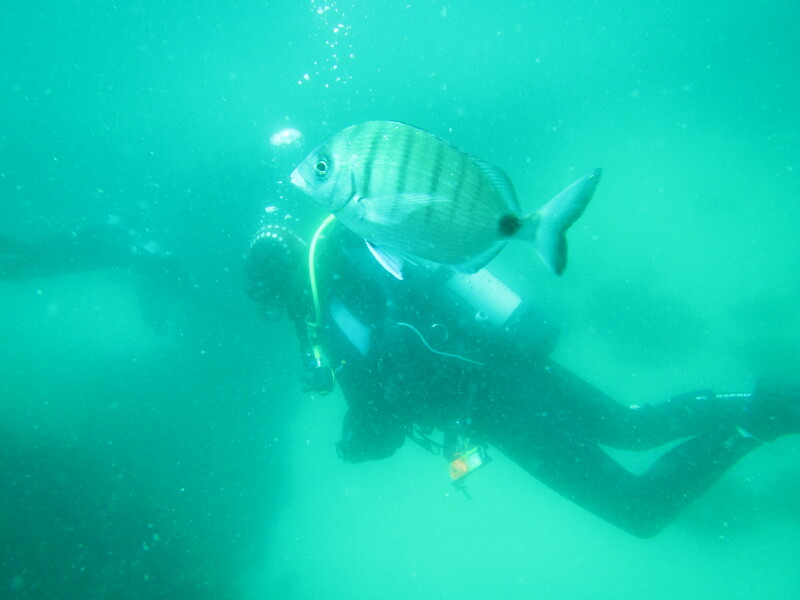 Not the best dive location in Gibraltar but certainly a relatively easier dive. The final day’s diving was here and as we had to have a clear 24 hrs. “off gas” before flying back to UK, we planned for 3 dives, before another minor glitch; the RHIB burst the starboard side, which meant a hasty retreat back to the harbour for the first wave of divers. Yet again the swell gathered height as the day wore on, and another plan B was hatched; the last two dives would be onto Batty’s Barge, a repeat dive and a swim into the shore line to swap cylinders, then dive back out to the boat after the mandatory rest. However the consensus was that due to the current we would struggle to get back to the boat, so once all 6 divers had appeared out on to the public beach James Bond style, we decided that an ice cream was in order and waited for a pick up by minibus. The diving was done. Summary I must confess that the planning and overall work load to get a 12 man Diving Expedition to Gibraltar, was sometimes a little frustrating…. would I do it again, hell yes, and I intend to. Watch this space, 20-24 personnel to Egypt in May 2017. Special thanks must be extended to everyone involved, especially the staff at JSSADC, JPDU, the Ulysses Trust, and the AAC fund for their financial assistance, without their support trips such as this could not happen.